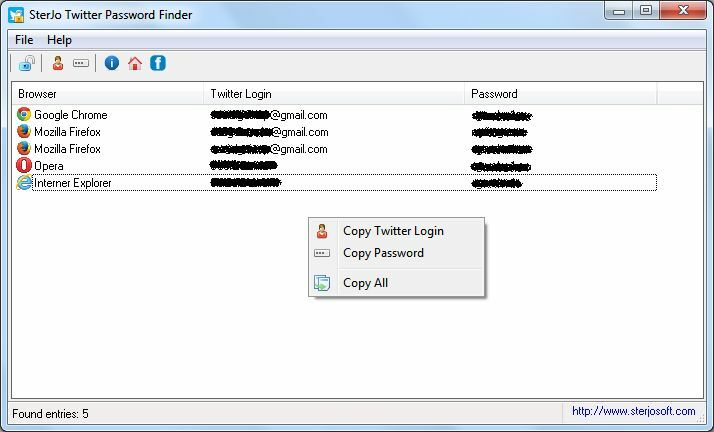 SterJo Twitter Password Finder can recover passwords for lost Twitter accounts from various applications. If you previously opted to have Chrome, Firefox, Opera, Internet Explorer etc. remember your Twitter password then this tool can show the Login and Password information quickly and easily. This is NOT a twitter password hacker nor even a twitter password cracker and it should be used only to recover your own forgotten twitter login stored by the web browser.